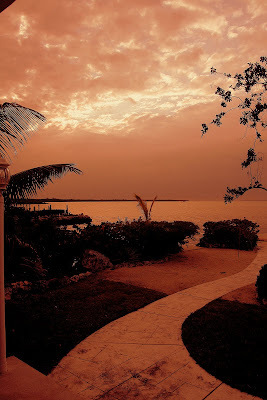 This was the sky toward sunset on Friday...yes, I messed with the colors again. Ugly weather was coming in and everything was dull gray. Winds got up to 24kts last night and the temps dropped. Was below 60° this morning. It did warm up into the low 70s inland, but here at the water it never really got warm. With the winds continuing to blow today (small craft advisory in effect) we didn't get out on the water. 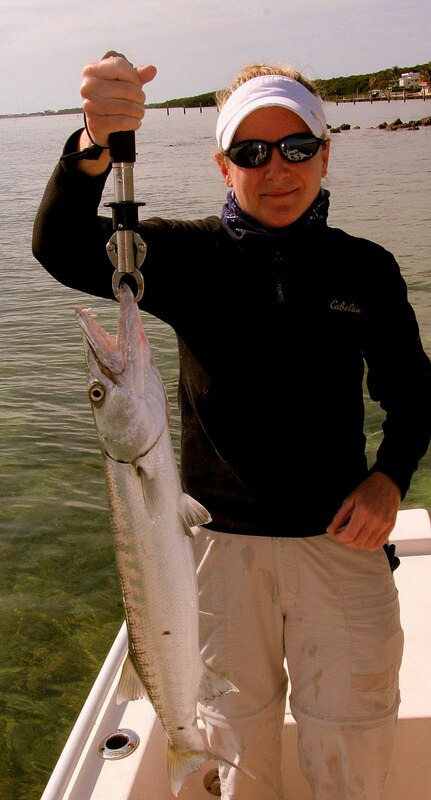 As a reminder, here's another shot of that big barracuda Deb caught Friday. 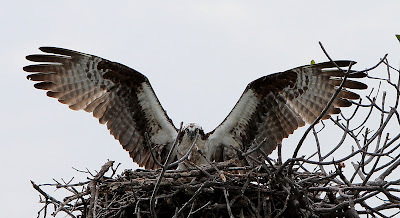 I asked Deb to try to get a photo of one of these wacky birds while we were on the water the other day. Don't have any idea what kind of duck they are. If you get close to them with the boat they run across the water and either take off or dive under at the end of their run; they seem to be able to stay under the water forever. 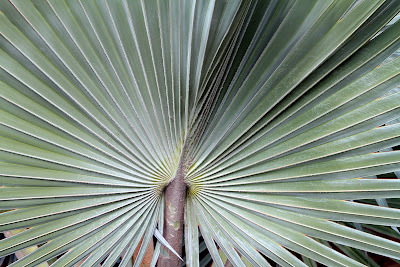 Deb's study of the Bismarck palm. 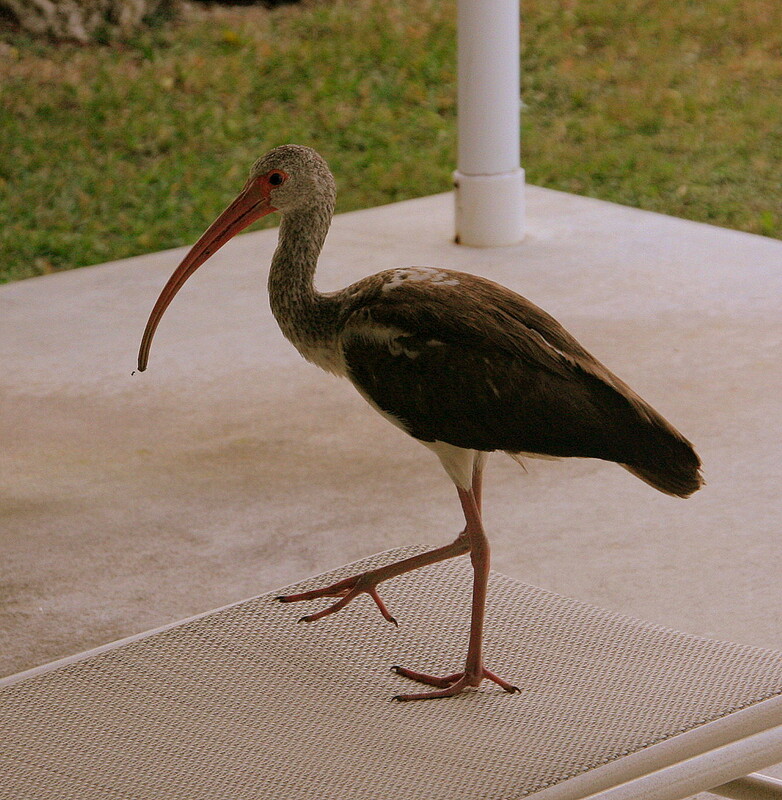 Speaking of wacky birds, this little ibis came right up on the back deck on Thursday. Here it's jumped up on a chaise lounge. We were wondering if some of the previous residents of this house had been feeding him. I thought they mostly ate worms and grubs, but maybe they're into Cheetos as well. Deb's photo of an osprey on the nest. Looks as though she's trying to scare us off...and doing a pretty good job of it. So we were off the water today...took no photos at all...and I have no idea as to what to put in tomorrow's blog as winds are scheduled to be near 20kts for Sunday...and Monday. Maybe I'll do a book review. Any readers want to know about Connecticut's new paid sick-leave law? I can write about that. Winds can't howl out here forever. Can they?